Whalley Banks and the bridge over the Blakewater. 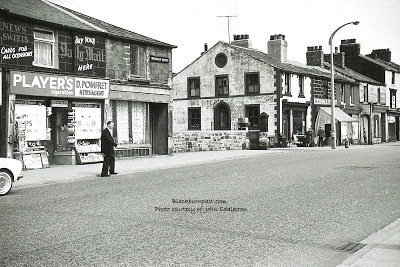 Charlie Corillo's shop (to the right with the awning) was a real bargain gents outfitters and sold the very first 'Beatle roll-neck jumpers' in town. You could have your trousers 'taken in' (tapered) on a 'while you wait'basis, brilliant shop which was always busy on a saturday morning!